Police are appealing for information following a disturbance outside a nightclub in Manchester. 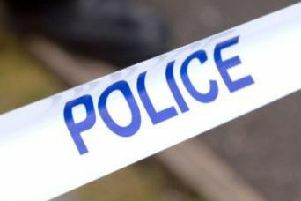 At 3.20am on Sunday police were called to Factory nightclub to reports that a man had been assaulted on Princess Street. Officers attended and an 18-year-old man was taken to hospital to be treated for a serious head injury. He remains in a stable condition. An investigation has been launched and officers are appealing for anyone with video footage to get in touch. Chief Inspector Cherie Buttle of GMP’s City of Manchester Division, said: “We’re aware that there are a number of videos circulating on social media and I cannot stress how important it is that those with footage make contact with us. “With a mobile phone at everyone’s fingertips, filming something is often the first thing people think to do but please, pass this onto us to so we can fully investigate this matter. “While it was early in the morning, this happened on a busy street so there may have been people who have seen something but have not yet been in touch with us. Anyone with information should contact police on 0161 856 3221 quoting reference number 396 of 02/12/18 or the independent charity Crimestoppers, anonymously, on 0800 555 111.